You must make bookings at least 5 minutes in advance of the time at Marcus. 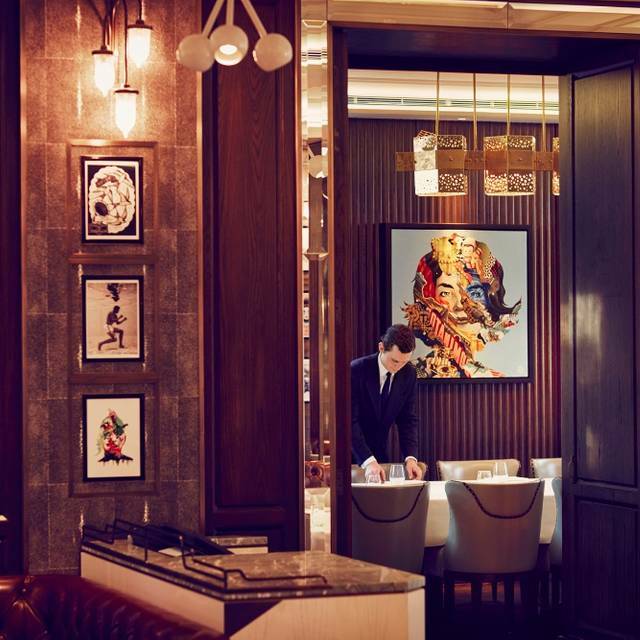 Valet parking available at the Berkeley. Street parking is also possible nearby and there is a large car park on Kinnerton Street. Closer underground stations: Knightsbridge and Hyde Park Corner stations. 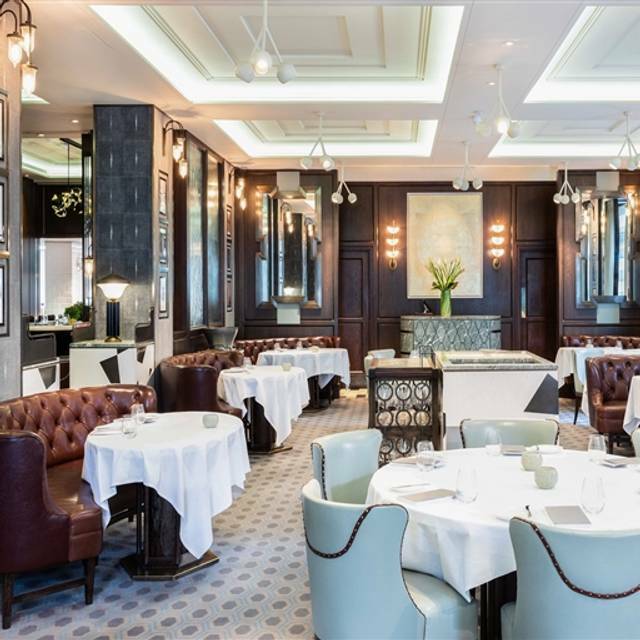 The Michelin starred Marcus brings a relaxed formality to the dining experience in a elegant and contemporary setting. 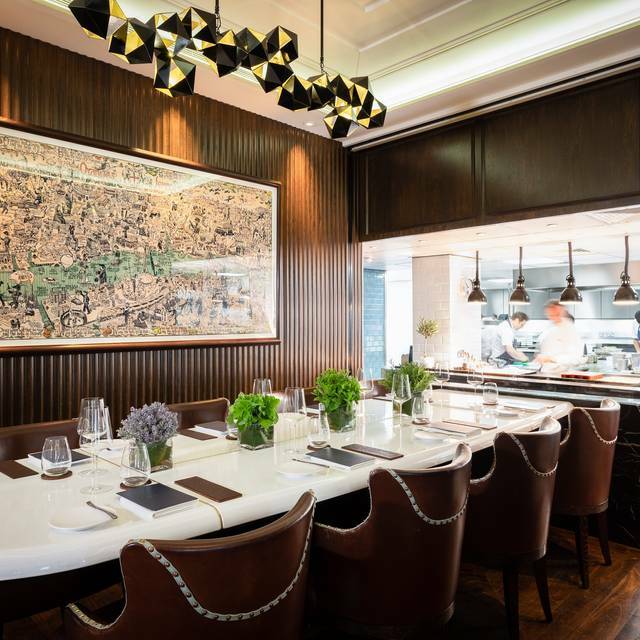 At Marcus, modern British cooking using European influences and the highest quality produce stands it apart as one of London’s best restaurants. 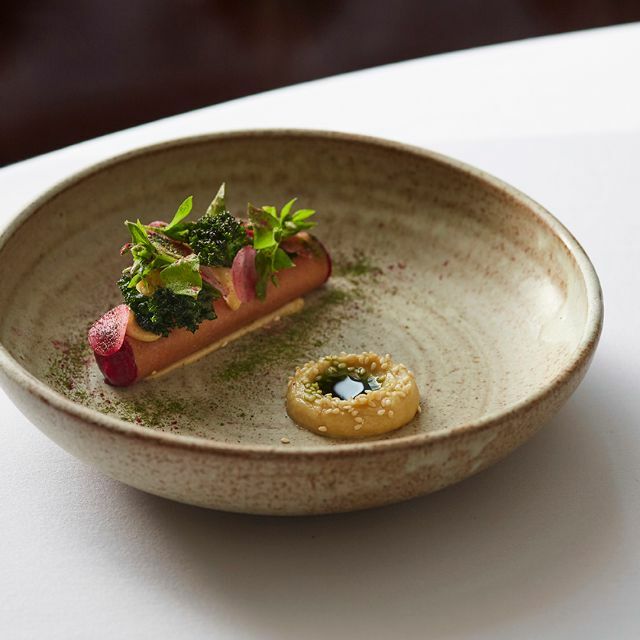 Located within the illustrious 5* Berkeley hotel, Marcus Wareing remains at the helm working closely with his teams on the delivery of dishes devised with the creative thought and exacting execution that can be seen throughout both the A-La-Carte and its acclaimed seasonal Taste menus. 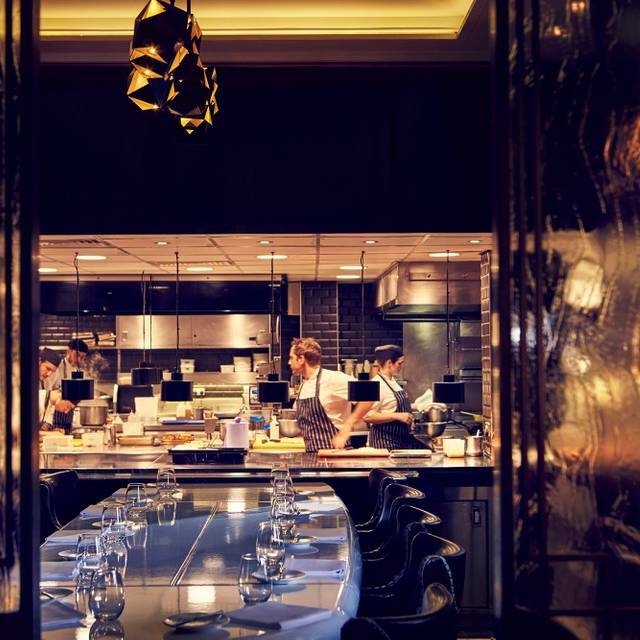 More intimate dining options comprise the spectacular Chef’s Table for up to 10 guests and The Salon, a private dining room available for parties of up to 16 guests. 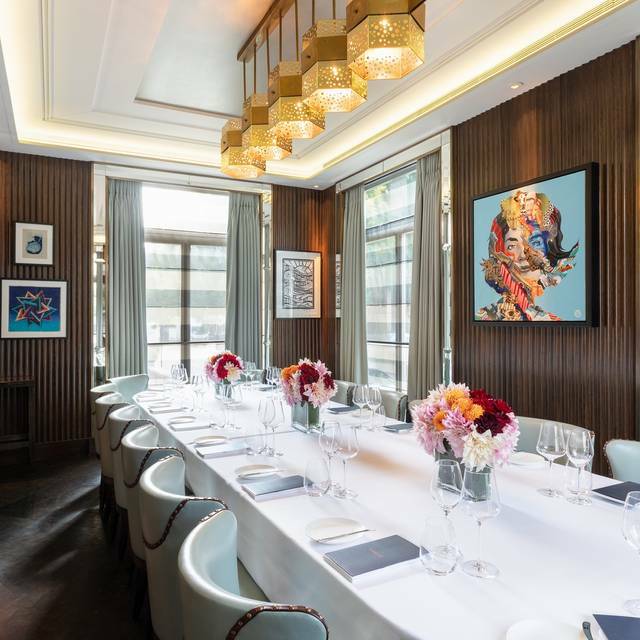 Flooded with natural daylight through floor to ceiling windows, The Salon is a modern bright and elegant private dining space nestled in the corner of the restaurant overlooking Wilton Place. A raised floor separates The Salon from the main dining room and the doors can be closed or left open. 5 courses and a glass of fizz on arrival for £55. From a set menu. The perfect place to spoil someone special! I would recommend it for a experience as well as a place to dine, such high quality service and food. I would love to revisit. Food and service were both excellent, a great choice for a business lunch. Will definitely visit again. Still worthy of 2 Michelin stars! The seasonal winter tasting menu was full of earthy flavours, which I thoroughly enjoyed! Went for the 8 course option which, to be honest, was a little too much. A few mishaps that detracted from the overall experience...the trout dish was served piping hot without a word of warning. Also a foreign object was found in the last desert, which was remedied through the bill. Having said that, this is not what you would expect from such an establishment and it definitely took the shine from the experience. Amazing service with glorious food! Will be coming back again and again! I last ate st Marcus on the 30th September 2018, a day or so before it lost a star. I had eaten a lunch the day before at Le Manoir and choose the deconstructed grouse as a main course to better compare the two - I ate a roast grouse on the 29th similarly. The grouse came in a glass cloche with heather smoke and was possibly one of the best dishes I have ever eaten. It’s originality and wonderful cookery eclipsed the day before. I have long felt that compares to Hand In Flowers and Le Manoir and Gavroche that Marcus sailed above them all. Last week was no different. A set lunch presented as stylishly and with such evident skill and elegance from the kitchen deserves recognition. If you want to try some of the most original thinking combined with the very beat learning that experience brings go and eat here. An excellent venue and wonderful food and service. Absolutely no complaints. Will visit again following this experience. We booked this after a recommendation and we had the 8 course tasting menu. We loved the ambiance of the restaurant and the staff were lovely and polite. Overall the food was very tasty, we have dined at numerous Michelin starred restaurants and in this instance we don't think it's worth the price. There was another table of 2 next to us and after an hour and half it was clear that the timing of our food was tied to how fast they were eating their courses as they always came out at the same time. Whilst we understand the logic of this, the other diners took almost triple the amount of time to eat each course and so we were waiting for a minimum of 20 minutes between our courses. Again for the amount of money you pay for this experience we would have liked our meal timings to have been catered to our pace and not dictated by other diners. In total our 8 course meal took 3 hours, sadly for us this is not acceptable and so based on this we will not be returning. From the moment we arrived until we left nearly 3h later everything was perfect. It was a belated Xmas present for my boyfriend and the staff really made it special. Highly recommend for a special occasion. We dined at Marcus a few years back and loved the ambience and enjoyed one of those meals you remember and talk about long after the event. So for a special occasion we booked it again. Sad to say it felt like Basil and Manuel were running the show yesterday. We waited 45 minutes for someone to take our order. An hour and 15 minutes later we still hadn’t received our starters and whenever we asked staff for an update they variously turned up with random offerings on top of the normal amuse bouche - all very nice - but none of them the actual meal we had ordered. By the time we were finally served our starters we were a bit over it. About 20 minutes later, we were served what we thought was our main meal but it turned out to be a quail dish thrown in by the kitchen as our main meal was delayed, which wasn’t explained at the time. We were too full to eat our mains when they did arrive about two hours in. Along with the very loud row a couple were having a table away from us and the shrugs of helpless waiters, it was all pretty depressing. We agreed we would have had more fun and be a lot better off financially if we had sat on a bench with a packet of chips. We will remember this meal at Marcus for a long time - but for all the wrong reasons. Impeccable service, friendly advice for wine choices, delicious and imaginitive food. I think we arrived in heaven! The food and service are equally outstanding as always! This was a return visit although it was a while ago that we were here. The staff made us feel welcome and were keen to check if it was for a special occasion (it wasn't this time). We chose to eat a la carte as the tasting menus were quite long. The lamb was very good and much larger than we'd expected so I was glad I'd chosen fish. The small intro bites were great and lots of different elements. We also liked the way the tables were separated so it felt very intimate and private - a lovely retaurant. Quite simply outstanding food and wine - had a superb dinner with impeccable service and outstanding wines with a sommelier who was most knowledgeable. The surprises were the various amuse bouche pre starters which really set the tone for the evening. Amazing. Every item on every plate belonged there and was perfect. All the little touches were exquisite and the wine and champagne were the best we had ever drunk.service was attentative not obtrusive . We dined off the a la carte menu but it was a pleasantly tough choice as both lunch and tasting menus were first class. By far the best restaurant we have been to and I have no idea why Michelin docked one star. A big big thank you to Marcus and all the staff for creating a special birthday memory my wife and I will treasure for some time. Unfortunately the desserts were not up to the standard that we’de expected. Lovely meal but they asked me if there was an occasion and I said my wife’s birthday treat. They didn’t even say happy birthday. At the end of the meal one guest asked me if Id said it was a special occasion. Which was a bit embarrassing. We did exchange gifts for her but that never registered. Lovely meal and service but I was left disappointed. Incidentally, when we had paid and we’re leaving no one really said goodbye or made us feel special. Easy to do but not that day. The two of us have eaten there before and been pleased with the food. Maybe they just take it for granted that all guests are rich and do this all the time. For us it’s a major expense. I feel a number of other top restaurants are showing much more care and I would give those restaurants 5 stars. One of the best meals I've had in London. We had the 3 courses for lunch. Every dish looked and tasted a real treat. go there now. Outstanding! 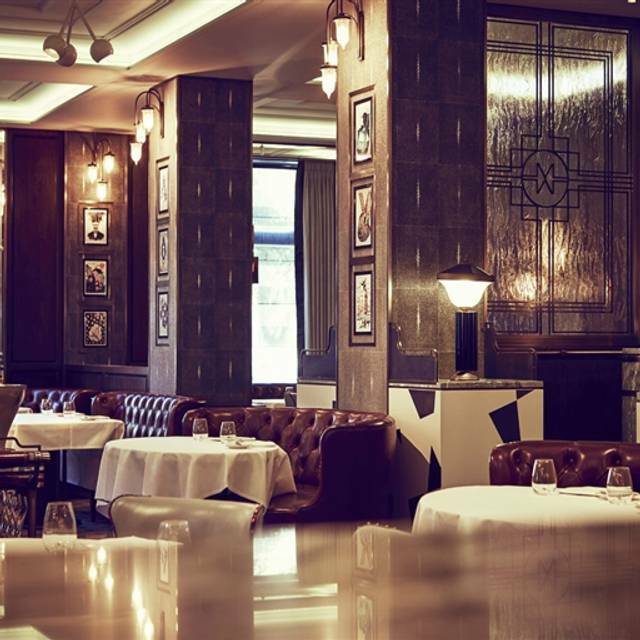 !Worth every penny and beautiful surroundings to match the exquisite food and service. Food not up to the standard Marcus demands from others! The food was wonderful and definitely Michelin star standard, and it was certainly a beautiful place! But the service wasn’t what we usually expect from a Michelin starred restaurant. Waited 25 minutes for one drink when tables surrounding were being brought them within 2 minutes, finished our drinks and weren’t asked if we wanted another, surrounding tables were getting in depth explanations of dishes when we were getting basic and sometimes not at all. I received a (stunning!) little cake for my birthday from them, but would of had no idea what it was if we hadn’t heard them telling the table opposite. It was only ever little things but consistency is key when it is a minimum spend of £100 per person for lunch. It could of potentially been because we are young so they thought we weren’t into food too much... Maybe we should of told them this was our 12th Michelin star visit this year and they may of given us better service. Nethertheless it was a wonderful birthday meal and the food was great! So thank you for that, and to some of the waiting staff who were very kind and attentive! I’ve been to many wonderful eateries across London this year, and last night I was expecting a solid experience of high quality. What I got turned out to be the highlight of my 2018 gastronomic experience. A wonderfully attentive and friendly team, with exciting and interesting food that was expertly cooked to perfection. Normally when you get the long list of ingredients on the menu, you can almost guarantee that some will go ‘missing in action’ when the plate arrives, but not here. If it was on the list, you could taste it, and more importantly all the elements of the dish were there for a reason - perfect! Not one of the cheapest of evenings out, but hey, for me I’d happily pay for it again and again. Looking forward to the sequel in 2019. We had a wonderful lunch. Michael the sommelier was so knowledgeable and eager to make us discover different wines. He also took great care of us. We saw him talking to different tables and people engaging. Service was very smiley and the food was exceptional. A great place to go. We also saw Marcus, so nice to go to a restaurant where a well known chef cooks. A gem! Absolutely amazing lunch with the tasting menu. And even saw Marcus Waring there as well. Fantastic Experience, Worth every pound. Already a huge fan of Marcus Waring and Head Chef Mark Froydenlund, Saturday lunch was a special Christmas thank you to my family, a treat I was looking forward to enjoying as much as I hoped they would. The experience did not disappoint. The service was faultless, not too intrusive but still highly attentive, great wine advice from the sommeliers, passionate descriptive detail given about each of the 5 course tasting menu we had. 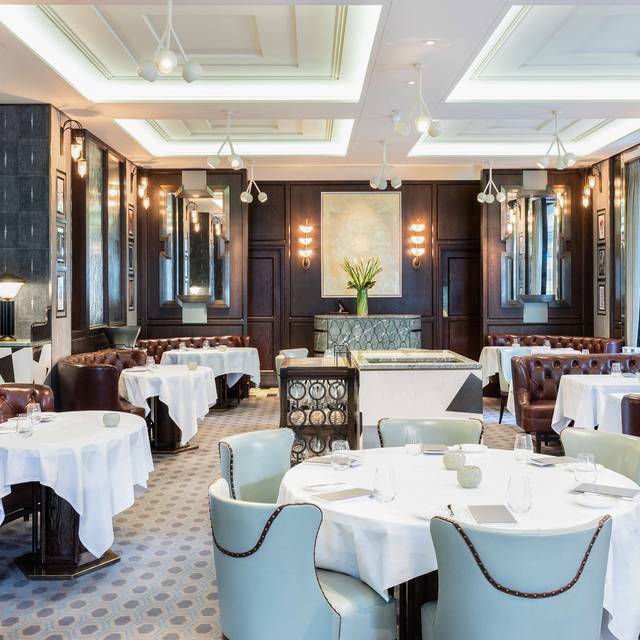 At £60 per head, wine an addition I thought for the warm comforting restaurant ambience, the ability to hear each others conversation because the acoustics and proximity of the seating was spot on, the quality, taste and pairings of flavours simply mouth watering. Visual simplicity but perfection on every course, I thought the experience was faultless, and consequently have been telling what a wonderful experience it was to all my friends and clients. I have no doubt on returning again very soon. The pièce de résistance was being allowed to briefly view the kitchen with my family and meet Mr Froydenlund. A simply perfect Saturday. Thank you Marcus and your amazing team. Marcus offers old school cooking with heavy sauces and well seasoned dishes. The plates are rich and overwhelming - an assault on the taste buds with very little balance and freshness on offer. We left craving a stick of carrot or a piece of fresh apple. For those who are looking for more modern, creative and healthier British cuisine head elsewhere. It was also super expensive. Marcus is a nice restaurant but we are getting picky in our old age. The service was very good indeed and we were allowed to take our time. We couldn't believe it when we finally left at 20 to 1 when most restaurant staff make it very clear that it is time to go. The Somellier came up with an excellent selection of wines that matched exactly our description of what we would like and what we wanted to spend. We were a group of 6 spread around a round table large enough for 8 or 10 so it was difficult to converse quietly. I would have preferred a smaller more intimate table and I hope that our very jolly time having to speak loudly across the expanse of table did not disturb other diners. We had the tasting menu and the staff were very diligent about food intolerances and dislikes. The food itself was nice - an autumn menu geared to seasonal produce and a delightful array of different dishes. On eating the food, we felt it was overall a bit bland with many of the "little blobs" of reductions and purees lacking in flavour and punch and in some cases lacking in seasoning. (I don't expect to want to add salt at this calibre of restaurant). Either there should be more flavour in the "blobs" or more of it. There were was an odd decision in the order of the dishes. The smoked mackerel did have plenty of flavour but it then killed the following scallop dish. Was this lack of exciting flavour because Marcus himself wasn't there that evening? Who knows.